For the first time ever in Israel, the dedicated staff at the Rabin Medical Center performed a small intestine transplant in an adult. The operation lasted 10 hours, and required immense planning and preparation. Prior to this, small intestine transplants had only been performed in a few, select hospitals throughout the world. The recipient was a 39-year old woman, whose own intestine had been removed two years ago, after which she became completely dependent on intravenous feeding, or total parenteral nutrition (TPN). Immediately after surgery concluded, the woman was placed in the intensive care unit at Rabin Medical Center, where she will remain under close observation for at least two to three weeks. 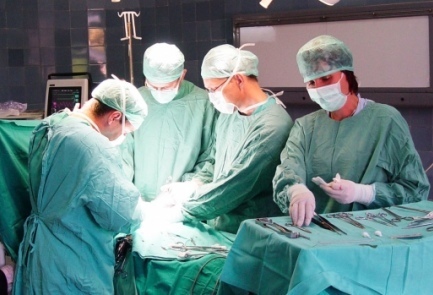 While no organ transplantation procedures are simple, this type of operation is particularly difficult and requires a large team of specialists to perform it properly. Additionally, prior to even scheduling surgery, a suitable donor under the age of 45, with a small body type must be found.